Do you hold weekly staff meetings in your office? These are good time to catch up with the progress of various projects and to discuss any emerging needs from your office staff. Depending on the setup of your workspace, the staff meetings could be held in the conference room or the company break room. What is needed for successful meeting is a clear agenda and seats for everyone. Just because everyone will have a chair for the staff doesn’t mean every chair will be used in the office. In fact, it’s hard to imagine any workspace that doesn’t have a few old office chairs that nobody wants to sit on anymore because they are either broken or uncomfortable. These are also the kinds of things that can’t be tossed out into the dumpster or put onto the curb. The best way to help keep your office clear of rubbish is to turn it all over to Junk King Cincinnati today. Junk King has been in this type of service for several years. They have the rubbish clearing process down to a science. Each appointment is staffed by two capable movers. This is a crew that has been licensed and insured. There also quick with making assessments about the best approach for removing something from any given space. In an office, that might mean navigating a freight elevator. It could also mean dismantling some things in order for it to fit out the door and onto the truck. You’ll find that the Junk King crews are terrific problem solvers and approach each task with a very friendly attitude. Pricing is always a concern when hiring an outside vendor for your company. Junk King makes their pricing easy. It is a flat rate that is based on volume not weight. That means you will pay a fee reflective of how your stuff will fit onto the truck. Will it use up one third, one half or the whole truck? Keep in mind, that the Junk King truck all the equivalent six pickup trucks. You can use the pricing estimator on the website to get a sense of what the price range might be. When the crew locks down the final price it won’t change. That is something you can depend on. When you need rubbish cleared out of your office, you need to put Junk King Cincinnati to work. They’ll get it done fast and for the right price. This entry was posted in Cincinnati Junk Removal and tagged Junk King, junk removal, office on March 31, 2019 by Junk King. Last updated March 31, 2019 . Former sweetheart’s stuff cluttering your place? Junk King Cincinnati will junk stuff from your ex on Valentine’s Day. This entry was posted in News on March 29, 2019 by Junk King. Last updated March 29, 2019 . Almost every warehouse operation has a sign that probably proclaims how many days it has been since the last accident. The hope is that the numbers will keep going up on that sign and never have to be reset to zero. One of the best ways to make a warehouse safe is to get rid of any excess rubbish. Sometimes there is an overflow that can fit into the building’s dumpsters. That can create a hazardous situation by the loading docks. When you’re dealing with that kind of rubbish overload, you need to bring in the pros from Junk King Cincinnati. One call will set a plan into motion that will get your warehouse clear of any excess rubbish and unwanted junk. You should think of the crew from Junk King as an extension of your warehouse work crews. The Junk King teams will work just as efficiently. Their goal is to take away all the things that don’t belong in your warehouse. Not only can that mean rubbish and debris left over from deliveries, but also things like unwanted office furniture and equipment. Those are the kinds of things that can take up valuable room in your storage areas. It would be a shame if that prevented you from adding more inventory to distribute. Junk King can make it disappear in one session! A typical Junk King session is staffed by two capable movers. When there is the need for more help, Junk King can provide those additional crews at no extra cost. The flat rate charge by Junk King is always determined by how the truck is packed up. The Junk King squad has a lot of experience with packing trucks with all kinds of debris. They can look over any pile of rubbish and know exactly how to squeeze it onto the truck using the least possible room. That will make sure that you are paying the low-end of that price scale. Included in that flat rate is all the disposal effort provided by Junk King. This can include dropping cardboard off at a recycling center. That means you can maintain your status as a green company. When you want your warehouse cleared out of rubbish overflow, you can count Junk King Cincinnati to get the job done the fast and affordable way. This entry was posted in Cincinnati Junk Removal and tagged Junk King, junk removal, warehouse on March 24, 2019 by Junk King. Last updated March 24, 2019 . Spring is the beginning of moving season. This is one of the most popular times of the year is for people to relocate. A lot of that has to do with college graduates finishing up their school and looking for a place to live. It could also simply be that nobody wants to move in the winter! If you are planning to make a move in the coming weeks, then you’re going to be doing a lot of packing. What you don’t want to pack is all the rubbish you should be getting rid of. It makes no sense to pay movers to bring stuff into your home that’s just can be taking up storage space. Instead, you should consider hiring Junk King Cincinnati to take away the rubbish once and for all. It is amazing how much we accumulate. Even living in just an apartment for one year can create a lot of stuff filling up closets, cabinets, drawers and shelves. Before any item goes into a box, you’ll have a chance to assess whether or not you going to use it in your new place. Obviously, you want to hold onto all your keepsakes and mementos and anything else of value. But if there is something that you have in used in several months, then there’s a good chance you might not using ever again. You need to bring that with you? Keep in mind that is not just the little things that you are packing up but also the bigger items. Perhaps this move is going to inspire you to replace your sofa or mattress. It might mean a new entertainment center or dining room table. There’s nothing wrong with wanting to start the next chapter in your life with new furniture. But if you bring along the old furniture that you are ultimately going to get rid of, then you’re just creating a space problem. All of that unwanted stuff can be put onto the Junk King truck in a single session. Much like the professional movers that you’ll be hiring, junk King will be sending over their own movers to facilitate your rubbish removal. This is a team dedicated to the task whether it means climbing upstairs or taking an elevator. For your next move, you’ll feel a lot better giving all your rubbish to Junk King Cincinnati. Don’t pack clutter! This entry was posted in Cincinnati Junk Removal and tagged junk, Junk King, junk removal on February 28, 2019 by Junk King. Last updated February 28, 2019 . As easy as it might seem to toss out an old DVD player into the trash, that is the last place you want that piece of e-waste and up. With larger televisions, printers, fax machines and computers the idea of putting them into the trash can is certainly prohibitive. This only means you are often stuck with those items. You could literally end up carrying them from home to home! A much better approach would be to hire Junk King Cincinnati to help with your e-waste disposal. Junk King doesn’t actually dismantle those e-waste items in a responsible manner, but they can make sure they end up at a facility that does handle the work. Every item that’s collected by Junk King is taken back to their depot and sorted. When they have amassed enough to fill up the truck, the Junk King team will then drive those items over to the right facility for this kind of disposal. Actually, Junk King takes the same approach with everything it collects. They want to avoid making trips to a landfill as much as possible. This means they could collect the truck full of clothing, furniture or other household goods that would all be dropped off at a charity. This sounds like a few extra steps for disposal but those are steps the Junk King is happy to make. You can schedule your appointment with Junk King with one phone call. They may offer to have provide you with the same day pickup which means your junk can be removed even faster! Before the crew does any actual loading, they will lockdown the amount of your service call. This will be based on how they fill up the truck with your stuff. It might be that your items just take up one quarter of the truck. If that is the case, then you will be paying the low end of the price scale. This is a flat fee that covers all the labor, transportation and the disposal drop-offs. Getting rid of e-waste doesn’t have to be a hard task when you give that job to Junk King Cincinnati. This entry was posted in Cincinnati Junk Removal and tagged e-waste, Junk King, junk removal on February 23, 2019 by Junk King. Last updated February 23, 2019 . Clearing out an entire home worth of furnishings and household goods may seem like an overwhelming task. But this is what anyone who has been named an executor of an estate faces. Of course, you might be in charge of the same kind of cleanup if you are simply helping an elderly love one move into a new living situation. The first phase involves pulling out all the things that you want to keep. After that, you’ll want to designate several items that might have value for selling either on Craigslist or with a consignment shop. What would be left over in the home are all the things that have to be cleaned up but that is nothing that you have to do on your own. A little help from Junk King Cincinnati can go a long way to getting your estate cleanup handled swiftly and without any hassle. A lot of the objects that have to be removed from a state need a pair of movers. That is exactly what you’ll be getting when you hire junk. Each junk removal session is staffed with at least two strong movers. In some instances, there is a third movie that comes along for the job. On the really big junk hauling appointments it’s not uncommon for Junk King to dispatch even more crew members. The goal is that once they start working everything needs to be removed in a single session. What you should keep in mind is that any of this additional labor won’t mean additional costs for you. The Junk King rates are always based on how the truck gets backed up. That same moving crew that has a lot of experience lifting and loading heavy objects also has a lot of experience with packing up truck. They strive to get as much as they can into his little space as possible. You like how that’s reflected on your bottom line cost! When you hire Junk King Cincinnati to help from the start, your estate cleanup won’t be overwhelming. This entry was posted in Cincinnati Junk Removal and tagged estate cleanup, Junk King, junk removal on January 30, 2019 by Junk King. Last updated January 30, 2019 . Property managers are delegated to the task of making sure apartments, homes and commercial spaces are rented. Part of their services are to screen tenants and set up lease agreements. That means when a previous occupant moves out, they need to act fast to get that space ready to go on the market again. Often this will require a cleanup. Not every tenant is responsible. They will leave behind a lot of stuff. One call to Junk King gets all of that stuff cleared out quickly and efficiently. Property managers know that with Junk King on the job there is going to be an issue with weight or location. The Junk King crews can just as easily move a sofa from a fourth floor walk-up as they can a stove from a split level home. You can put that same kind of junk clearing work around your home. When you set up your session with Junk King they want to know the scope of the job before them. Will this be just a few items or an entire estate clean out? The only reason they ask is to make sure that you have enough support from the Junk King teams in the form of movers and trucks. Every appointment is staffed by at least two movers but for the big jobs Junk King will be happy to dispatch additional crews. It is Junk King Cincinnati’s “no problem” attitude that makes them the number one pick of property managers for all kinds of junk removal needs. Put them to work around your house today! This entry was posted in Cincinnati Junk Removal and tagged Junk King, junk removal, property managers, rubbish on January 23, 2019 by Junk King. Last updated January 23, 2019 . In the next couple of days, the lights, ornaments and other decorations are going to be carefully plucked from the Christmas tree and put away until next Christmas. 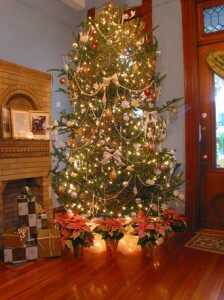 Your once vibrant tree might already be showing signs of “age” and it will be time to get it out of the house. But then what? There is a small window of opportunity for having the Christmas tree removal handled by the city. Miss that window and the tree will be stuck on the curb for a long time. There is also the issue of getting that tree down to the curb. It’s a challenge if you were to do it on your own. Thankfully, Junk King Cincinnati is standing by with an alternative approach to Christmas tree removal. And that removal also includes some serious junk hauling. If you set up a session with Junk King, then you’re going to be assigned a two-man moving crew. This is the team that can lift the Christmas tree right up from where it currently resides and safely get it out of the house and onto their truck. The only trace that the tree was ever there will be a few needles that Junk King team will sweep up! By hiring Junk King for this task, you get to take care of your Christmas tree removal on your schedule but that’s not the only thing you get to take care of. You can also utilize the crew to remove all kinds of other unwanted junk items in the same session. Is there a piece of worn out furniture that you’ve like to get cleared out of the home? Is there an appliance out in the garage that has already been replaced? What about all the other clutter and rubbish that has been piling up over the years? Take a moment to picture your home without any of that junk. When you know what you want hauled away, call Junk King and set up your session. It can happen very fast. Christmas tree removal and junk hauling is a job best handled by Junk King Cincinnati. One call gets it done. This entry was posted in Cincinnati Junk Removal on December 30, 2018 by Junk King. Last updated December 30, 2018 . The focus before Christmas is having a great time. That includes getting together with family and friends, opening presents, playing with those presents and enjoying holiday treats. It might just be the best 24 hours of the entire year. Then comes the day after. Everyone is still in a good mood but there is nothing to look forward to besides the cleanup. Actually, a post Christmas cleanup session with Junk King Cincinnati can be a good thing. It’s the perfect way to get the home ready for the New Year. It would be safe to assume that a large portion of the presents unwrapped on Christmas will be items that are replacing other items. It is a chance for new pots and pans, vacuums, Blu-Ray players and all kinds of outfits to be put into use. What happens to the old versions of those things? Too often, they simply get put away but when that pattern repeats over several Christmases then it is easy to see how the house can be overrun with unwanted clutter. That is the time to bring in Junk King Cincinnati. When it comes to clearing out unwanted clutter, Junk King really is the “king.” Their method involves sending over a team of movers who have been licensed and insured. This is the professional team that is going to do all the work for you. Whether that work involves bringing a sofa up from the basement or a box of shoes down from upstairs, the Junk King crew is going to move swiftly and efficiently. To put this plan into action, you first have to decide what you want to get rid of. Remember, the Junk King crew is going to do all the work. That means anything regardless of size or weight can be removed. Locking down the appointment is easy. You can do that online or over the phone. In either scenario, you’ll want to pick a day and two-hour window that works for your schedule. Everything will flow from there. 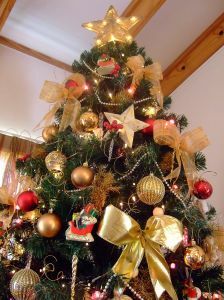 Junk King Cincinnati can make your post Christmas cleanup a smooth operation from start to finish. This entry was posted in Cincinnati Junk Removal and tagged Junk King, junk removal, post christmas cleanup on December 23, 2018 by Junk King. Last updated December 23, 2018 . As much as we like to have guests over during the holidays the worst thing they could do is surprised and just show up unannounced. Of course, immediate family members are excluded from that. They can surprise you at any time! If you do have out-of-town guests coming over, then they probably already bought their plane tickets lockdown the arrival date. That will give you time to get the guestroom ready and that should begin with a call to Junk King Cincinnati. Guest rooms in a home have a tendency to become a kind of walk-in closet. Yes, you might be keeping extra outfits the guestroom but it’s really about all the rubbish you put in there to get out of the way. The guestroom is where chairs, end tables, bookshelves and all kinds of other unwanted items gets deposited. This could also be the room in the house where the old television has landed along with all the other electronic gear that has been replaced. Obviously, if you could throw the stuff away probably would have already. But since none of it can fit into the trash can it goes into storage. But now the guests the coming it’s time to get it cleared out and Junk King can help that. They’ll be able to help by sending a pair of movers and a big truck. That’s exactly what you need to get rid of old furniture and other unwanted clutter. It won’t matter if the guest room is on the second floor or down in your basement. The Junk King crews have plenty of experience carrying all kinds of heavy objects up and down stairs. When the guestroom is cleared of rubbish you may want to allow the Junk King crew to continue hauling out items throughout the rest of the house. Obviously, you’re going to give a tour of your home to your holiday visitors and you don’t want to them to see all the junk you have out in your garage. Just think of how much better things will be around the house got rid of everything that you are done with. 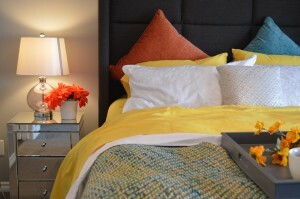 A cozy guestroom is one without a scrap of rubbish anywhere. Junk King Cincinnati can help make that happen today. This entry was posted in Cincinnati Junk Removal and tagged guestroom, Junk King, junk removal, rubbish on November 30, 2018 by Junk King. Last updated November 30, 2018 .